8 p.m. Fri., July 27. From the beginning, Steve Soboslai was convinced that the band he started in high school would be successful — and long-lived. "We would have signed a 15-year agreement after the first practice," he says. Members have come and gone (and come back), but Punchline has lasted precisely that long. Over 15 years, the band has released six albums, three EPs and toured around the world. On top of that, members have spawned many other Pittsburgh bands and launched the label Modern Short Stories. Punchline, beyond being a band, is something of a pop-punk juggernaut in Pittsburgh, an overarching brand. But its beginnings were humble. 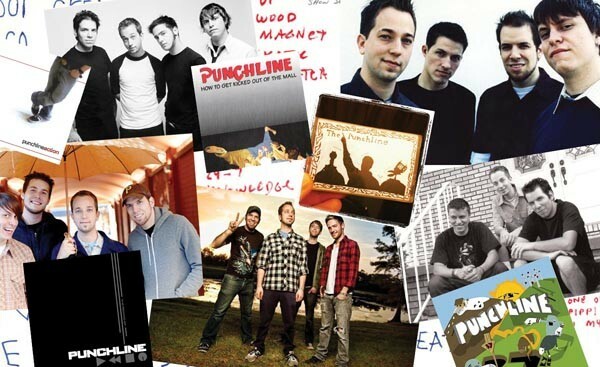 It was 1997 — the height of the third wave of ska — when Punchline formed in Belle Vernon. In its early days, the band wrote silly ska-punk songs about girls and high-school life. After recording a pair of demo tapes, Punchline recorded its debut CD, How to Get Kicked Out of the Mall, in 1998. Soboslai, bassist Chris Fafalios and then-drummer PJ Caruso financed and released the album themselves. They did the same with the band's second effort, Punchline, in 1999. The self-titled album foresaw the band's move away from ska, toward pop-punk. In 2000, Paul Menotiades joined on guitar after he left his band, Substandard. The four-piece lineup offered more technical musical work and helped the band to develop its signature three-part vocal harmonies, evident on 2001's Major Motion Picture. The band's first real tour, that year, was full of interesting experiences, including a show played in a backyard gazebo in Little Rock, Ark. "We played the show for the girl who set the show up, her 5-year-old son, her friend, a homeless man and some kid who drove two hours to see us," Soboslai recalls. Weird and unpredictable as the tour may have been, Fafalios says the four members came back wiser than before. "Every band should have to do that: van problems, no hotel rooms, no showers. It wasn't so good, but I'm very glad we did that." After the 2002 EP Rewind, all four members dropped school and work commitments to tour full time. It paid off in Florida: A fan who was working for Fueled by Ramen Records alerted the label of the band. 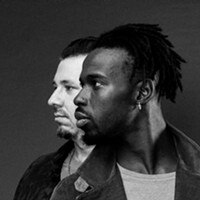 Representatives from the label came to see the band in Gainesville. "That's when all sorts of exciting things started happening," Fafalios says. Fueled by Ramen signed Punchline to a three-album deal, including a re-release of Rewind, remixed by acclaimed producer Shelly Yakus. In 2004, the band's second album for Fueled by Ramen, Action, was released. Action developed Punchline as a contender in the saturated pop-punk market; the songwriting was tighter than ever and the vocal work made the band stand out. Punchline also made its first trip to Japan with Fall Out Boy. In the midst of a tour in 2005, Menotiades suddenly departed from Punchline. The band quickly picked up Greg Wood, formerly of the band West Beverly, who would stick around only long enough to record on 2006's 37 Everywhere. Replacing him was the band's longtime friend Jon Belan (of The Berlin Project and Gene the Werewolf). The release of 37 Everywhere was the end of the band's contract with Fueled by Ramen. As Punchline was contemplating its next move, the members saw many of their contemporaries breaking into the mainstream. "All these bands around us were becoming more successful than the bands we looked up to in high school, and selling a million albums," says Fafalios, pointing specifically to Fall Out Boy and Bayside. While it would have been easy to jump onto the pop-punk success train, Soboslai says that Punchline has always been "very against riding other bands' coattails." After its departure from Fueled by Ramen, Punchline entered a contest through the entertainment website Heavy.com. The band won, earning $25,000, and used the money to create Modern Short Stories, a label to release Punchline's music and that of like-minded bands. The first release was Punchline's Just Say Yes in 2008, followed by releases from other local bands such as Spontaneo and former member Menotiades' band The Composure. As Punchline gained more steam in 2009, Caruso left the band after 12 years behind the kit, and Belan exited soon after. In an interesting twist of events, Menotiades rejoined Punchline that September. "I called Paul, which was a very touching phone conversation," admits Soboslai. "He told me, ‘I should be asking you guys to come back to do this.'" After working shortly with a fill-in drummer, Menotiades brought in Cory Muro, The Composure's drummer. With a solidified lineup, Punchline recorded 2010's Delightfully Pleased. 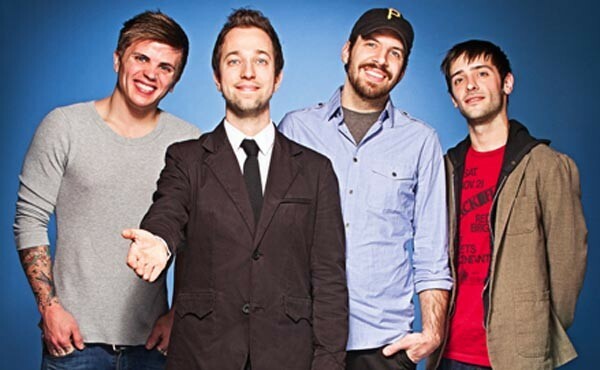 After Muro and a friend were involved in an altercation with the band Brokencyde outside The Smiling Moose in the South Side in 2011, Punchline bought the domain www.brokencydesucks.com, where it hosted a pay-what-you-want download of Delightfully Pleased. For Punchline, 2012 has been a busy year. 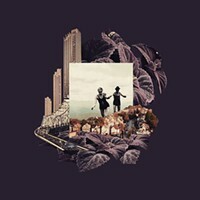 In January, the band released So Nice to Meet You on iTunes, coinciding with Soboslai's appearance on the Fox television show Mobbed. In order to push sales on iTunes, Fafalios issued an ultimatum to fans. "We played a show on Long Island," he explains. "For some reason, we had a really bad show. We drove the whole way home that night thinking about how bad the show was. I couldn't believe after 14 years that a show could be that bad." Soboslai then made an announcement: "If this EP doesn't go to No. 1 on iTunes, I'm never playing bass again." The missive received mixed reactions from fans and musicians alike. Regardless, the strategy worked: The EP hit No. 1 on iTunes' rock chart, topping bands like Metallica and The Beatles, if only temporarily. Fafalios was glad to see the support from the band's fans. "I meant it, but I wanted to light a fire under people that support us. It's not like I'm just money hungry. I thought, "After 14 years of being a band, when we release something, why shouldn't it go to No. 1 on iTunes?'" This brings Punchline to its 15th year, and to celebrate, the band is headlining shows at Altar Bar on Friday, Philadelphia's Trocadero on Saturday and Cleveland club Peabody's on Sunday. The Altar Bar show will feature a 37-song set list. Crafting the selections for Friday's show may be difficult, but Fafalios promises, "We will play at least one song from every album. With 37 songs, there's no reason we can't play at least one from each, at least from Major Motion Picture on." In 15 years, through varying degrees of success, one constant is that the band never left Pittsburgh — and the members are quick to acknowledge their debt to the city. "Pittsburgh has always been amazing," Soboslai says. "We try to keep things interesting for the people coming to our shows." Fafalios, for his part, recalls that without the local support, the band could never have made a splash nationally. "Pittsburgh was what allowed us to go out and do this," says Fafalios, thinking back on the band's first major tour. "The money we made from playing at Club Laga enabled us to buy a van and go on tour."